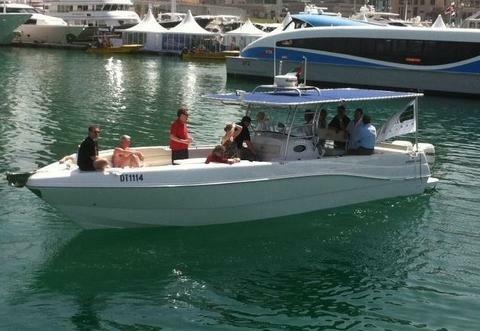 Our Gulf Craft Dolphin Super Deluxe 31 ZAHRA is a nice small vessel ideal for fishing or cruising for up to 6 guests. Minimum charter duration for cruising is 2 hours, for fishing 4 hours. Fully equipped for fishing. GAVIOTA our Silvercraft 38 is a fast boat with solid hull and is an excellent day cruiser and fishing boat for up to 12 guests. Minimum charter duration for cruising is 2 hours, for fishing 4 hours. Fully equipped for fishing. 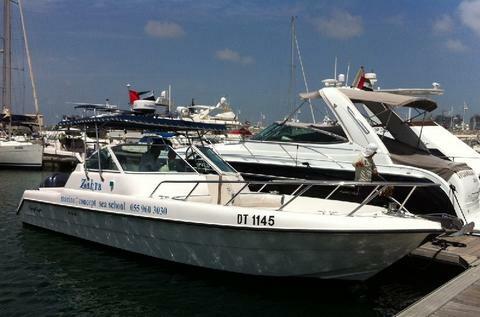 Do you offer yacht charter and boat rental in Abu Dhabi by yourself? Would you like to have a presentation of your charter boats and yachts with us? Sign up here as a boat rental company and edit your sailboats, powerboats or catamarans in our yacht charter data base.